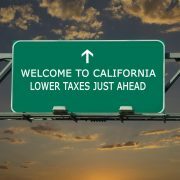 California Cannabis Tax Relief Coming? 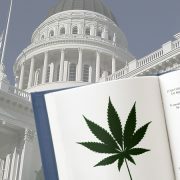 Check Out Assembly Bill 286 – the Temporary Cannabis Tax Reduction Bill. A bill was just re-introduced in the California legislature that would give legal cannabis businesses a tax break to help them thrive and level the playing field with cannabis businesses that continue to operate in the grey and black markets. The proposed legislation, which is sponsored by state Treasurer Fiona Ma, follows California’s tax revenue for the cannabis industry coming in $101 million below projections in the first six months of 2018. This bill which has been kicked around Sacramento for almost a year would wind up reducing the state’s excise tax from 15% to 11% for a period of three years and remove the cultivation tax on growers until 2022. The full text of the Temporary Cannabis Tax Reduction Bill can be viewed here. 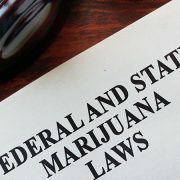 Even though 31 states have legalized cannabis for medical or adult use, banks and financial institutions are hesitant to provide services to cannabis businesses because federal law still classifies cannabis as an illegal Schedule 1 drug under the Controlled Substances Act. While the developments listed above are favorable for California cannabis business, it still remains to be seen when favorable changes will be made to the Internal Revenue Code which treats businesses in the marijuana industry differently resulting in such business paying at least 3-times as much in taxes as ordinary businesses. West Hollywood Approves Cannabis Cafes And Consumption Lounges To Open In 2019. And you know that the IRS will surely be interested in auditing these businesses! After spending more than seven months screening over 300 applicants, the city of West Hollywood, California released the names of businesses approved to have actual eateries, lounges, and cafes that allow smoking, vaping, and/or munching on edibles and weed-infused food. Each business must now secure a West Hollywood business license within the next 12 months, and find a physical location. To view the full list of approved cannabis applicants, click here for the City of West Hollywood website. 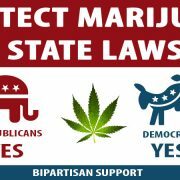 Cannabis Is Still Illegal Under Federal Law. The Federal Controlled Substances Act (“CSA”) 21 U.S.C. § 812 classifies marijuana as a Schedule 1 substance with a high potential for abuse, no currently accepted medical use in treatment, and lack of accepted safety for use under medical supervision. Generally, businesses can deduct ordinary and necessary business expenses under I.R.C. §162. This includes wages, rent, supplies, etc. However, in 1982 Congress added I.R.C. §280E. Under I.R.C. §280E, taxpayers cannot deduct any amount for a trade or business where the trade or business consists of trafficking in controlled substances…which is prohibited by Federal law. Cannabis, including medical marijuana, is a controlled substance. What this means is that dispensaries and other businesses trafficking in cannabis have to report all of their income and cannot deduct rent, wages, and other expenses, making their marginal tax rate substantially higher than most other businesses. The IRS issued a memo to provide guidance to its agents on conducting audits of cannabis businesses addressing whether an IRS agent can require a taxpayer trafficking in a Schedule 1 controlled substance to change its tax accounting to conform to I.R.C. §280E. 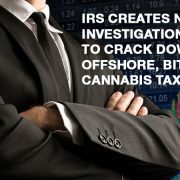 Not surprisingly that the IRS ruled that IRS agents have the authority to change a cannabis business’ method of accounting so that pursuant to I.R.C. §280E costs which should not be included in inventory are not included in Costs Of Goods Sold (“COGS”) and remain non-deductible for income tax purposes. Cannabis Tax Audits & Litigation. It is no surprise that cannabis businesses are proliferating as more States legalize cannabis and make available licenses to grow, manufacture, distribute and sell cannabis. The IRS recognizes this and it is making these cannabis businesses face Federal income tax audits. IRC §280E is at the forefront of all IRS cannabis tax audits and enforcement of §280E could result in unbearable tax liabilities. • First, you must substantiate that you actually paid the expense you are claiming. • Second, you must prove that an expense is actually tax deductible. Step One: Incurred And Paid The Expense. For example, if you claim a $5,000 purchase expense from a cannabis distributor, offering a copy of a bill or an invoice from the distributor (if one is even provided) is not enough. It only proves that you owe the money, not that you actually made good on paying the bill. The IRS accepts canceled checks, bank statements and credit card statements as proof of payment. But when such bills are paid in cash as it typical in a cannabis business, you would not have any of these supporting documents but the IRS may accept the equivalent in electronic form. Step Two: Deductibility Of The Expense. Next you must prove that an expense is actually tax deductible. 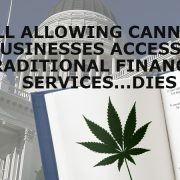 For a cannabis businesses this is challenging because of the I.R.C. §280E limitation. Recall that under I.R.C. §280E, taxpayers cannot deduct any amount for a trade or business where the trade or business consists of trafficking in controlled substances…which is prohibited by Federal law. What this means is that dispensaries and other businesses trafficking in cannabis have to report all of their income and cannot deduct rent, wages, and other expenses, making their marginal tax rate substantially higher than most other businesses. A cannabis business can still deduct its Cost Of Goods Sold (“COGS”). Cost of goods sold are the direct costs attributable to the production of goods. For a cannabis reseller this includes the cost of cannabis itself and transportation used in acquiring cannabis. To the extent greater costs of doing business can be legitimately included in COGS that will that result in lower taxable income. You can be sure the IRS agents in audits will be looking closely at what is included in COGS. Working with a cannabis tax attorney can ensure that you receive the proper treatment of COGS versus ordinary and necessary expenses resulting in the lowest possible income tax liability. In addition to IRS audits, state cannabis audits are also complex and thorough and generally include all taxes specific and nonspecific to the cannabis business. 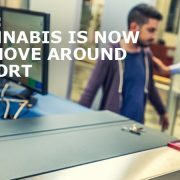 Potentially at risk is the cannabis license that enables the business to operate. State audits will focus on records regarding sales and use tax, excise taxes, and seed-to-sale tracking records. Now if your cannabis IRS tax audit is not resolved, the results may be challenged and litigated in the U.S. Tax Court or Federal District Court. The U.S. Tax Court has jurisdiction to hear disputes over federal income taxes before final assessment and collections while the Federal District Court generally requires taxpayers to first pay the liability then seek repayment through a refund request. Tax Planning For Cannabis Cafes And Consumption Lounges. For first-year businesses, tax planning usually starts with determining which entity type to select and operate. Common entities used are C-corporations, S-corporation and Limited Liability Companies (LLC). Determining which entity type to select and operate involves the type of business (i.e., cultivator, manufacturer, distributor, retailer) and the risk that if the business is selected for audit, a higher tax liability may be assessed. 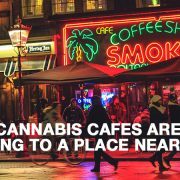 Cannabis Cafes And Consumption Lounges are in a unique category of being in an “end-user” business like a retailer but having a huge opportunity like a cultivator or manufacturer to leverage expenses into Cost Of Goods Sold. Accordingly, it is essential that any business involving cannabis seek tax counsel early on to make sure the proper entity is used and other tax saving measures are adopted. Considering the tax risks of cannabis you need to protect yourself and your investment. 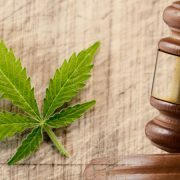 Level the playing field and gain the upper hand by engaging the cannabis tax attorneys at the Law Offices Of Jeffrey B. Kahn, P.C. located in Orange County (Irvine), Los Angeles Metro Area (Long Beach) and other California locations. We can come up with tax solutions and strategies and protect you and your business and to maximize your net profits. Federal Senators Introduce Cannabis Legalization Bills – If You Can’t Beat Them, Then Join Them! 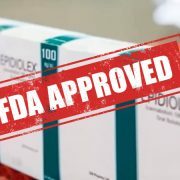 New Cannabis Testing And Packaging Rules Now In Effect – How Does This Impact The California Market?